arousal states to positive events. stimuli (Krypotos, Jahfari, van Ast, Kindt, & Forstmann, 2011). events, leading to emotional inflexibility. company, and their occupational backgrounds varied widely. They received compensation for participating in the experiment. subtended a visual angle of abou t 20.8˚ × 28.1˚. the rating screen was displayed until the participant responded. Arousal ratings and RMSS D.
a 9-point scale were collected for each trial. resting period across participants was 40.84 ms (SD = 20.53). emotion by measuring psychological ratings. higher arousal states in response to multiple positive stimuli. antness or unpleasantness when confronting emotional stimuli. sen et al., 2003; Krypotos et al., 2011; Melzig et al., 2009). more arousal states when faced with multiple positive stimuli. tivity to non-threat signals and/or failure of emotion regulation. measuring psychological, autonomic, and behavioral indices. vidual differences in emotional flexibility. tive review. Revi ew of Gen eral Psychology, 2, 271-299. Krypotos, A., Ja h fari, S., v a n As t , V. A., Kindt, M., & Forstmann, B. U.
ence of emotional stimuli. 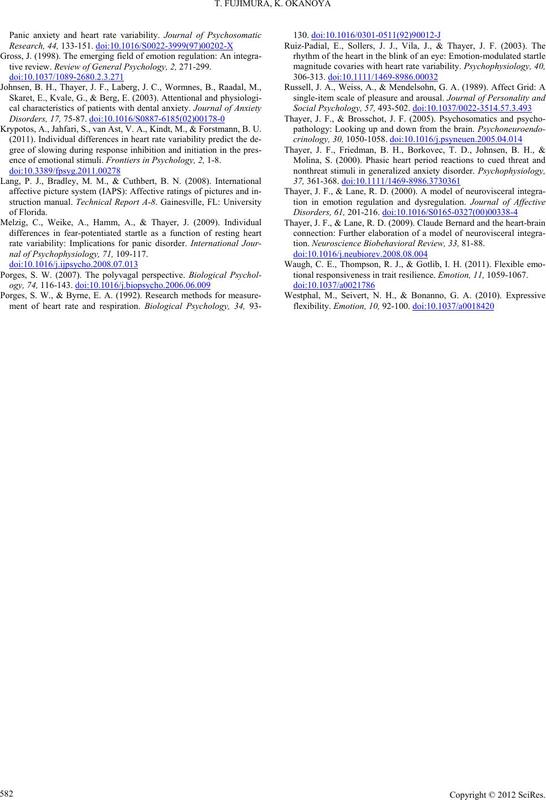 Frontiers in Psychol o gy , 2, 1-8.
nal of Psychophysiology, 71, 109-117.
tion. 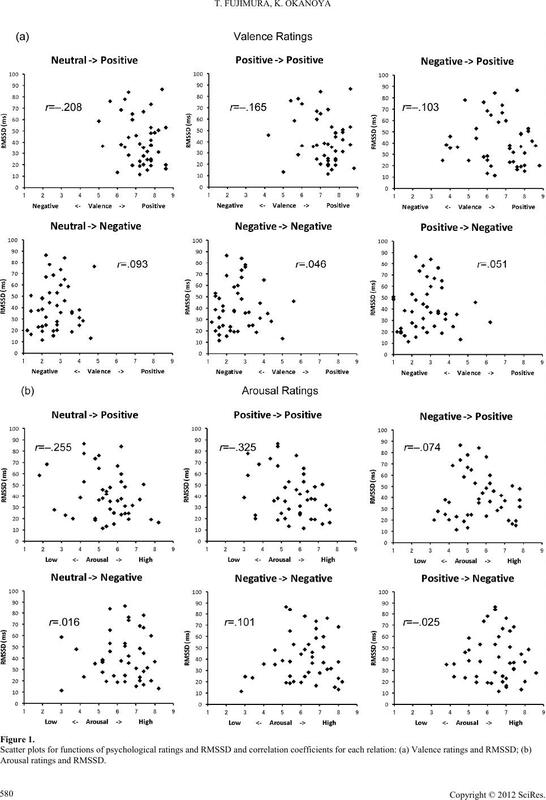 Neuroscience Bi obehavioral Review, 33, 81-88.
tional responsiveness in trait resilience. Emotion, 11, 1059-1067.